By now your baby's understanding of causal relationships is much more developed. He not only distinguishes between cause and effect, but also understands how the result occurs and anticipates it with excitement. Your baby wants to explore the rhyme and reason behind everything he hears, sees and feels, and through this examination he learns a great deal about the nature of objects and his power to manipulate them. His newly-found ability to influence his world influences his emotional development and solidifies his self-confidence. He examines and explores his toys, trying to figure out how to make them do what he wants them to do and begins to apply what he has learned in the past to new and similar situations. For instance, now that he knows that pushing a button will cause something to happen he tries pushing other buttons and expects a reaction. At this stage, your baby is able to anticipate certain results in advance: he may break out in laughter if he believes you're about to tickle him, or back away in fright when you take out the vacuum cleaner, even before you turn it on. By nine months, your baby even has the ability to solve simple problems, such as removing an obstacle blocking the way to his favorite toy. 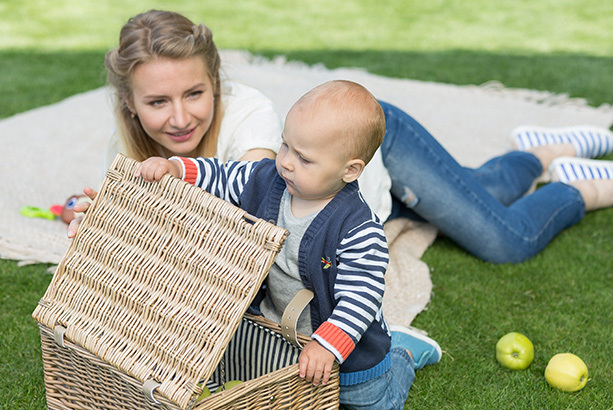 Towards the end of this period, your baby begins to become interested in the relationships between objects, and once he begins to crawl the world of spatial relationships – near, far, up and down – will add a new dimension to his knowledge. Your baby begins to comprehend some of the rules that govern the world as her understanding of casual relationships becomes deeper. Curiosity drives almost everything she does, every waking hour. Begins to apply what she has learned to new situations. Can solve simple problems, such as removing an obstacle when trying to reach something. Can recall events from memory. 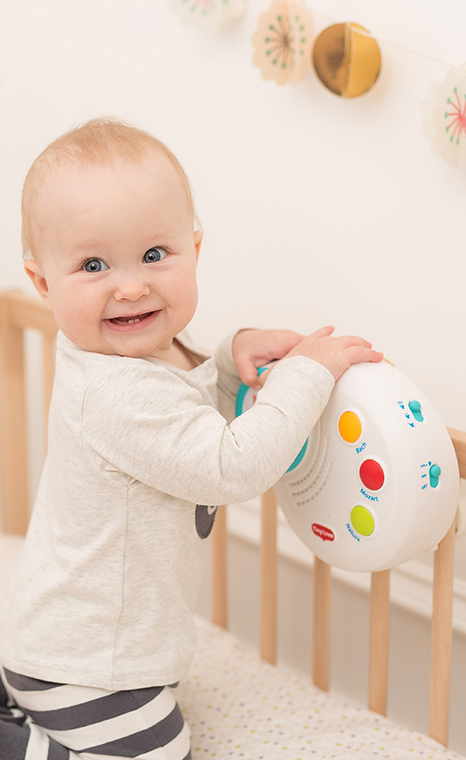 By the end of the ninth month, your baby becomes more interested in the relationship between objects, and enjoys fitting toys and objects into each other. 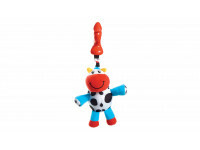 When mobile, explores new concepts, such as spatial relationships, near vs. far, up and down. 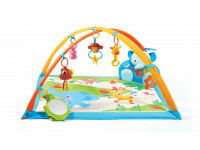 Offer your baby activities and toys that develop the concept of cause and effect, and practice simple problem solving, using toys like an activity center. Make certain the challenges match or are just a bit more beyond her current capabilities. Too simple a task will lead to boredom; too difficult will lead to frustration. Listen to your baby and respect her judgment. If she enjoys an activity and shows a desire to repeat it, even though you think it is better to move on to something else, follow her lead.